What performance guarantees exist for algorithms running on complex robot systems that operate in dynamic environments shared with humans and other autonomous agents? This critical question motivates Matt’s work on safe robotic perception and estimation. 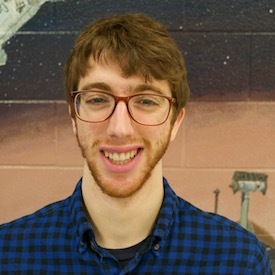 Matt completed his Master’s degree in Aeronautical engineering at MIT, where he researched resource-efficient simultaneous localization and mapping (SLAM) with the Aerospace Controls Laboratory. His work focused on optimal communication and computation for multi-robot systems using SLAM in challenging missions like wilderness search and rescue. 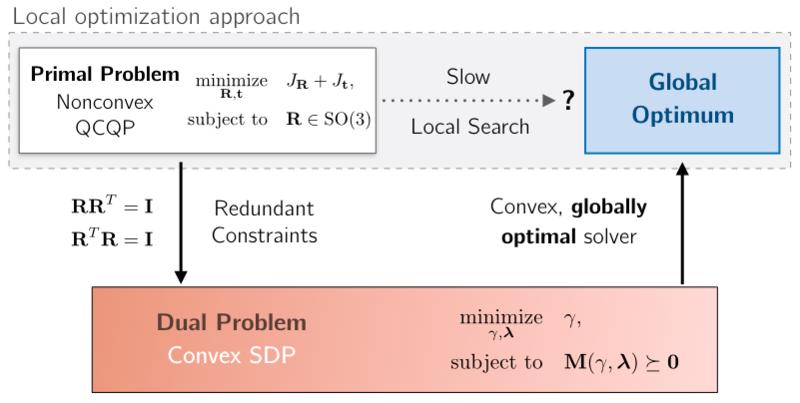 Dual SDP relaxation for extrinsic calibration. Measurement exchange graph for multi-robot SLAM.